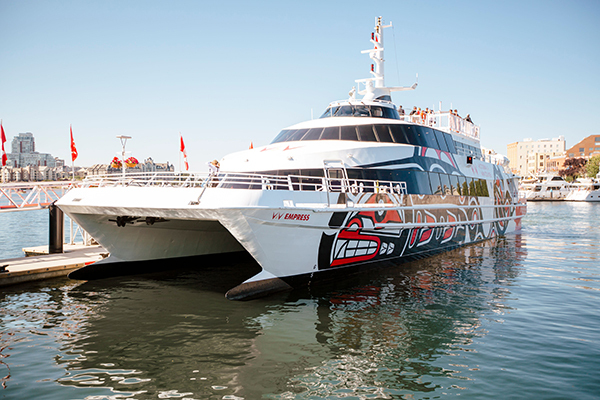 Thousands of people make the crossing between Vancouver and Victoria daily on the various ferries that service the route. Now there is a new luxury option added to the seascape that passengers are beginning to embrace more and more. Winding up their first year of operations, Julian Wright, general manager of this V2V premium cruise service connecting the two cities, talks to voices of travel host, Ron Pradinuk about the support they have received from tourists visiting from around the world. V2V vacations is part of a family business started almost a 100 years ago in 1926. With similar and diverse businesses in Australia, a previous stint working in Vancouver convinced the family it was time to bring a premium service to Canada to make the crossing a better travel experience. The company embraces the relationship they have with travel agents and looks forward to meeting them and their clients over the coming years.